You may not know me from Adam but this is my story. I grew up being told by my parents to get good grades in high school so that I could get into a good college and earn a degree. Then with that degree go out and get a secure job with a good company, serve them for 25-30 years. At that point I was supposed to retire and live off of my company pension and Social Security. I followed their instructions…up to a certain point. I worked very hard in high school to get good grades. In the middle of high school I got a job at Ralph’s Supermarket and worked there through and after college. It was my plan to be an elementary school teacher. During my studies I was working my way up through the ranks at Ralph’s. From Courtesy clerk, to cashier, to 75’er, produce, dairy/deli and night crew. In my third year of college while I was going working towards getting my teaching credentials I realized that when I was ready to start my career as a teacher my starting salary would be half of what I was already making at Ralph’s! At 21 years old I decided to try to work my way up the ladder at Ralph’s rather than take a big cut in pay. I did not finish college and get a degree. During that time I basically worked at night so I had my days free. I have always had an entrepreneurial spirit and was always looking for something better. I wanted to do what I wanted to do, when I wanted to do it and have the money to do it with. My first attempt was a Handyman business I named “Handy Dandy Fixer Upper”. I would repair facets, install light fixtures, paint houses, install light fixtures, etc, you get the picture. Lots of physical labor not a lot of profit. Then I made an attempt at a landscaping company I called “The Caretakers”. I had a few guys that would “mow and blow” my weekly accounts in addition to doing complete landscaping projects. Again, lots of physical labor not a lot of profit. I also went to dozens of get rich quick seminars, bought lots of books and tapes, did some MLM vitamin stuff, tried 900#’s, and many others. By 1991 I worked my way up the corporate ladder at Ralph’s all the way to the prestigious position of Frozen Foods Night Crew Manager. I would go to work around 10:00pm at night and pull out the grocery load for the crew that came in at midnight. Then I would head over to the frozen foods section; tape my finger tips up in adhesive tape (so they wouldn’t freeze) and stock the entire frozen foods section by myself. When I finished I would then order product in the frozen foods section for the next day and head over to the grocery isles to help the grocery crew finish “throwing the load” (that’s supermarket talk for stocking the shelves with groceries). When they were just about finished I would then order the groceries for the entire store for the next nights load. I would build end displays, write the schedule for the 16 crew members and handle anything that my boss could throw at me. I would end up finishing about 9 or 10 o’clock in the morning. At that point I would go home, sleep, take a shower and do it all over again the next day. Six days a week, fifty-two weeks a year. At Ralph’s I was told when to be at work, how much money I could make and when I could go on vacation (if at all) and for how long. In May of that year I received a brochure in the mail that said “Make $10,000 a month for the rest of your life!” The brochure invited me to attend a free 2 hour workshop to explain the details. I went there and was extremely interested in the opportunity and signed up. At that time they were going to teach me about one income stream that they called private mortgage notes in a five day boot camp. About 120 of us stayed in the hotel, had breakfast, lunch and dinner together as we learned the business. When it was all over they gave me a nice pat on the back and wished us luck. That was it. No funding source directory, no internet, no CD’s or videos, and little if any support. The first thing I had to do was find a funding source that would be willing to work with me. While I was looking for a funding source I went to the LA County Courthouse to search the records and find names and addresses of note holders. It cost me about $20 a day for parking and took about 10 days to get about 100 names. I was very diligent in continuing my quest because I knew deep down that the business would work. Eight months later I finally found a funding source and started to send out my first mailing to some of the prospects I had found. I got a few responses and nine months after I took the class closed my very first transaction. I continued my efforts and got a few deals here and there, found a few more funding sources and learned a tremendous amount from trial and error and just doing the business. Nineteen months after I took the course I closed a very large transaction and received a commission check of more than my entire year’s salary at Ralph’s. That was a Tuesday. I made a copy of the check and on Wednesday night I went to work very early. I had finished the entire frozen foods department and was already throwing the grocery load when the crew came in at midnight. I built the displays and had the porter throw on an extra coat of wax on the floor. By the time my boss came in at 8:30am in the morning the store looked like it was ready for a grand opening. We did our normal walk through inspection together and went to his office. Thursday was the day that I handed in the night crew schedule for the next week and I had intentionally left my name off of the schedule. I handed it to my boss and waited for his reaction. He said, “Oh, Jeff you forgot to write your name in on the schedule”. As I handed him a copy of my big commission check, I replied, “No, I didn’t forget, I quit.” He pleaded with me to give him a few weeks notice but I had seen him fire people on the spot and give them no notice so I was not sympathetic. That was the last time I worked for someone else. 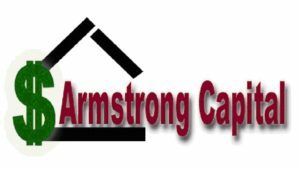 I went home that day, slept for two weeks and started working my cash flow business, Armstrong Capital, full time.